I haven’t been out shooting much due to working on the house and visiting friends and family a lot lately. 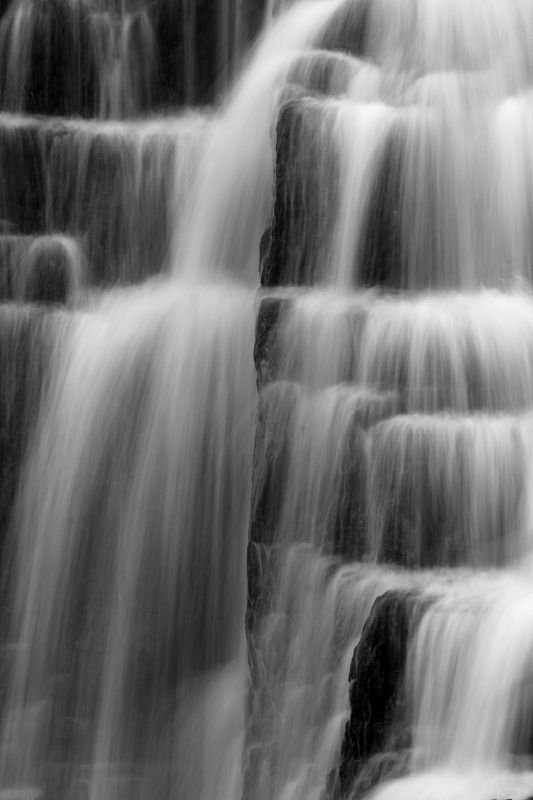 But as I was flipping through some photos of my last trip Inglis Falls, I found a couple I overlooked at first, but that have since really caught my eye. Hope you like ’em. He Mike, that second one is pretty cool! Love the roots and texture of the cedar bark for the bw treatment! Thanks Wayne! I was really intrigued by the texture of the roots and the tree bark as well. I was considering cropping this down a little to cut out the fence post at the right and some of the bright white sky highlights. Not sure, but I may post this one again with some adjustments. I’m glad you revisited your shots and found these as I think they are quite lovely. The water looks nice and soft and I like the image in bw. 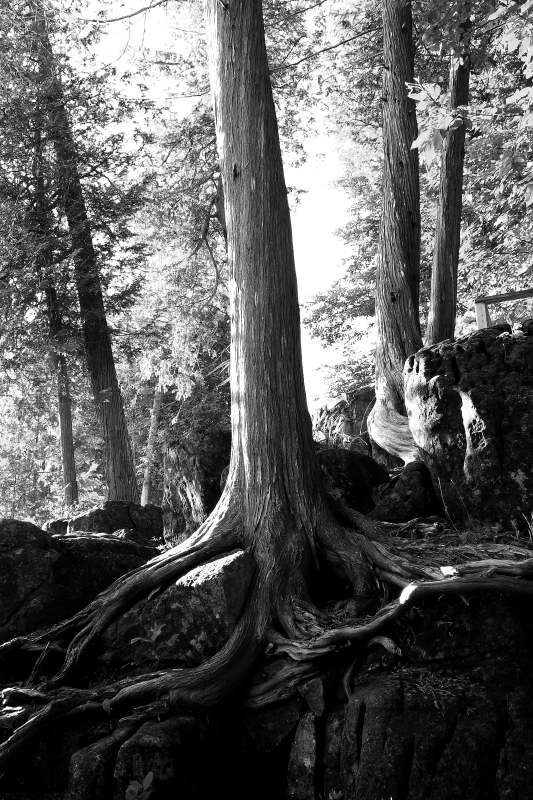 Love too the roots of the trees all entwined in the rocks. Very nice! Thanks Amber. I was quite pleased with these two, especially after I rewored them into BW. The roots reminded me of a hand coming down and trying to pull the rocks out of the earth – that really appealed to me when I was composing the shot originally.